It’s time for partners to overcome the programmatic social silo as brands and marketers look to capitalize on the next wave of media strategy. 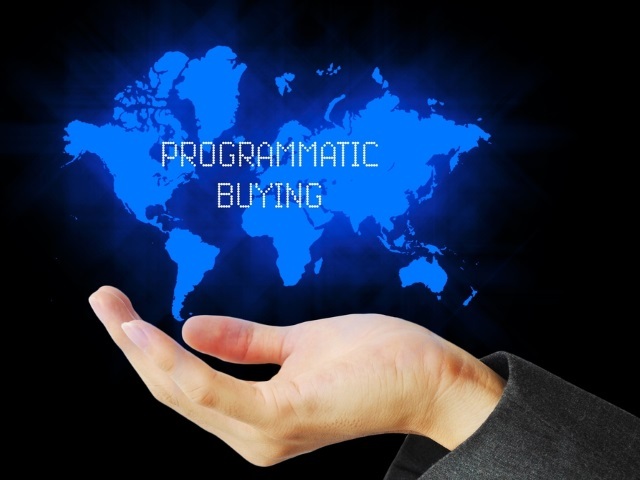 Social and programmatic are quickly becoming one buy thanks in large part to the expansion of programmatic solutions giving way to brands that have overcome a siloed buying process. According to an eMarketer study, more than two-thirds of all digital display advertising will be purchased programmatically this year. Coupled with the exponential opportunities for advertisers to engage audiences across Facebook, Twitter, Instagram, Pinterest and Snapchat with paid and owned media strategies, brands can amplify their presence using innovative ad formats to increase scale, expand efficiencies and heighten the relevancy of a brand’s message. Ad spending across social has increased an incredible 163 percent worldwide since 2013, further illustrating the advantages of being able to reach broad and niche audiences from millennials to baby boomers around key moments that matter in a highly personal and sharable digital environment. The growing interest in social from brands has fueled innovation in advertising and put technology front and center. Being able to programmatically execute social buys across platforms without losing behavioral targeting capabilities is something marketers must explore as the unification of social and programmatic continues to evolve. In doing so, brands will be able to capitalize on reaching highly engaged consumers in an automated fashion, increasing efficiencies of digital campaigns and media strategy. From a social lens, brands have historically been hesitant to capitalize on the benefits across different social networks: Are you truly reaching a different audience between Facebook and Instagram, and how can you be sure? What’s more, demand-side partners and social partners have also historically remained separated, further growing the silo between the two. Although social advertising leads all other channels in programmatic investment, brands are missing an opportunity to buy across all platforms as one to reach the right audience in the right mindset. Without the capability to do both from one unified platform, many brands and marketers run into the issue of executing social advertising alone, likely resulting in the need to constantly monitor campaigns and create multiple assets for different platforms. Remember Oreo’s “Dunk in the Dark” campaign that had everyone buzzing about the power of moment marketing? Bonin Bough, former Mondelez International chief media and e-commerce officer, captured the catch-22 of this campaign and the silo that exists between channels perfectly at South by Southwest in 2014. “A huge win in a lot of respects, but on the other side of the fence a huge failure because it was only limited to social media and Facebook,” he said. Yes, the campaign was an enormous success, but imagine the possibilities had the Oreo brand leveraged the opportunity to execute this exact message across all of its social platforms. With this clear opportunity available through automated social ad buying across platforms, many brands are starting to look for the capability to execute both opportunities in one buy. In using data to programmatically inform media decisions, brands have the ability to reach consumers across social channels with the same creative they use to reach a user with standard video inventory. Essentially, where a user sees the video advertisement doesn’t matter. It’s more about ensuring that the creative resonates with consumers by understanding their mindset and behaviors. Being able to do this programmatically and through one partner simply makes things easier. Brands should be ready and able to take advantage of using social advertising and programmatic ad buying conjunctively, as it presents an opportunity for them to automatically deliver highly relevant and engaging campaigns across all of their social channels. Chad Bronstein is senior vice president of global partnerships at global marketing technology company Amobee.